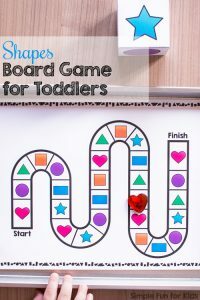 Ha, did you think I ran out of matching games for toddlers? 😉 Nope, I still have a bunch that I haven’t shared yet, and I promise I’ll be publishing them as time allows over the next few months. 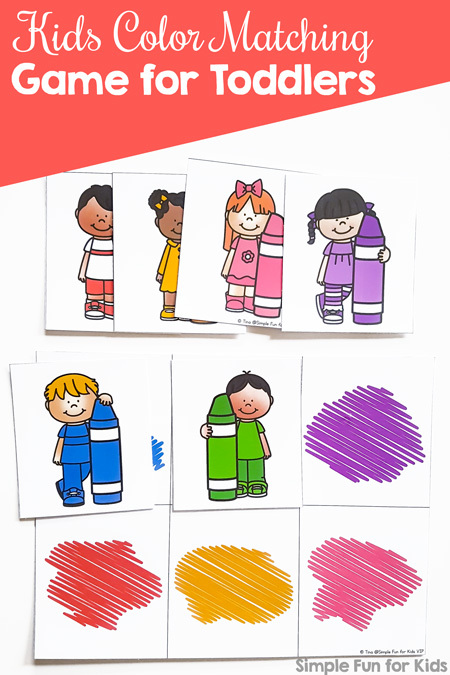 This is my most recent one that offers two options for color matching and (as usual) many different ways to play: Kids Color Matching Game for Toddlers! 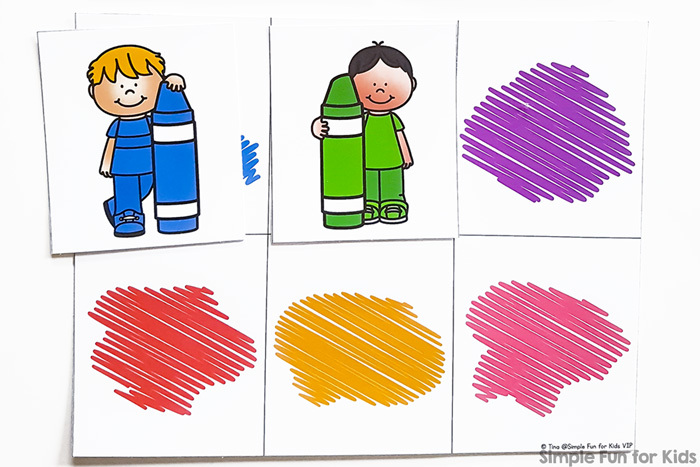 This is one of my matching games for toddlers that has two different pages: One shows six kids (three girls, three boys) dressed in blue, green, purple, red, yellow, and pink holding a crayon in their color. The other one shows six scribbles in the same colors. 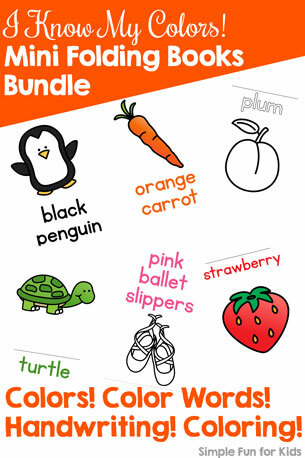 You can choose to play with two copies of one of the pages or to use one copy each and match the kids to the scribbles. 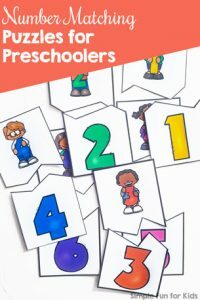 As usual, you can either cut up both pages into separate cards or leave one intact to make it easier for younger kids or absolute beginners. 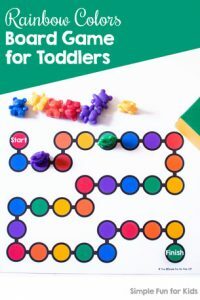 N is just about to turn 3 and has started enjoying playing an almost full memory game with what I call toddler rules: We start with all cards face down, turn over two at a time, but leave them face up if they don’t match. Then the next person turns over two cards, and so on. 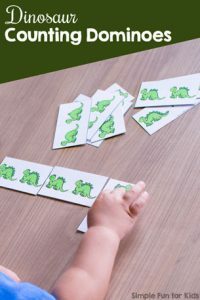 Keep in mind that he’s played modified matching games for almost a year, though, so make sure to adapt to your kids’ developmental level.